I have been proudly serving my community for four years. Before joining HPD, I worked as a waiter and bartender. These jobs enabled me to pay my way through college. I graduated from Sam Houston State University with a degree in Criminal Justice. I will soon be taking advantage of the reimbursement program that HPD offers to go back to school and obtain my masters degree. I always knew that HPD was the place for me. I never thought about applying anywhere else. 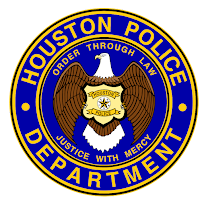 I had always heard that HPD was a great organization to work for and it has been. In my short career here, I have already accumulated so many fond memories. One time I had a citizen stopped for a traffic violation; I walked up to his car and found that he was a clown on his way to a birthday party. Costume and all! While I checked his driver license on the computer in my police car, I noticed that he was putting something on his face. As I walked back up to his car for a second time, I noticed that he had applied his clown make-up and even had a red rubber nose. The clown turned to me, squeezed his rubber nose and said, "Can you give an old clown a break." I tried my best not to laugh but couldn't hold it in. Not all memories are going to be grim and sad. Many memories will be fun and exciting. When you look back at them many years later, you will still think fondly of them. 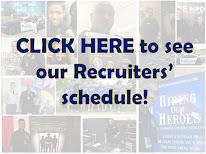 If you are interested in joining one of the top police departments in the nation, don't hesitate to apply. I guarantee you will not be disappointed. 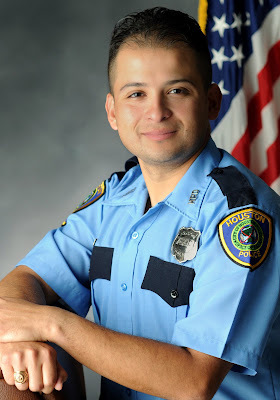 I am Officer Alex Carmona and I am a Recruiter. is the may class full? I gave the clown a break. Frankly, I'm scared of clowns. It's getting there. Apply today if have not already. We have future classes in June and September. Officer Carmona interviwed me. I want to thank him for being so nice and professional. I can not wait to be HPD. I like your clown story sir! Great work on the blog Officer McCoy. I met you at the Academy Tour. Officer Carmona is my recruiter. Sweet. Well thank you very much for the comment. Did you let him with a verbal warning? Just tell him to stop clowning around on the roads!!! Alex AKA Amado, what up bro, its me Raul wow great to see you handling business, I am actually looking to make a change, leave my exciting job in insurance to pursue HPD. Hope to talk to you soon. Peace.